This popular ensemble for weddings is also appropriate for corporate events where classical and light classical music is requested for a more intimate setting. The repertoire includes, Bach, Handel, Vivaldi, Corelli, Schubert, Mozart, and an extensive popular music library. To ensure the ultimate success of your event, the Starlite String Quartet are committed to providing you with the highest quality professional musical services available. Their musicians have performed together in ensembles for many years, and are among the finest performing artists in the San Francisco Bay Area. 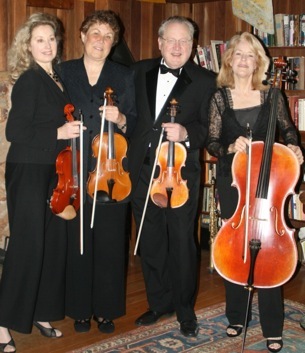 Starlite Strings provides classical instrumental soloists, duos, trios and quartets, and a chamber orchestra. This entry was posted in Classical. Bookmark the permalink.